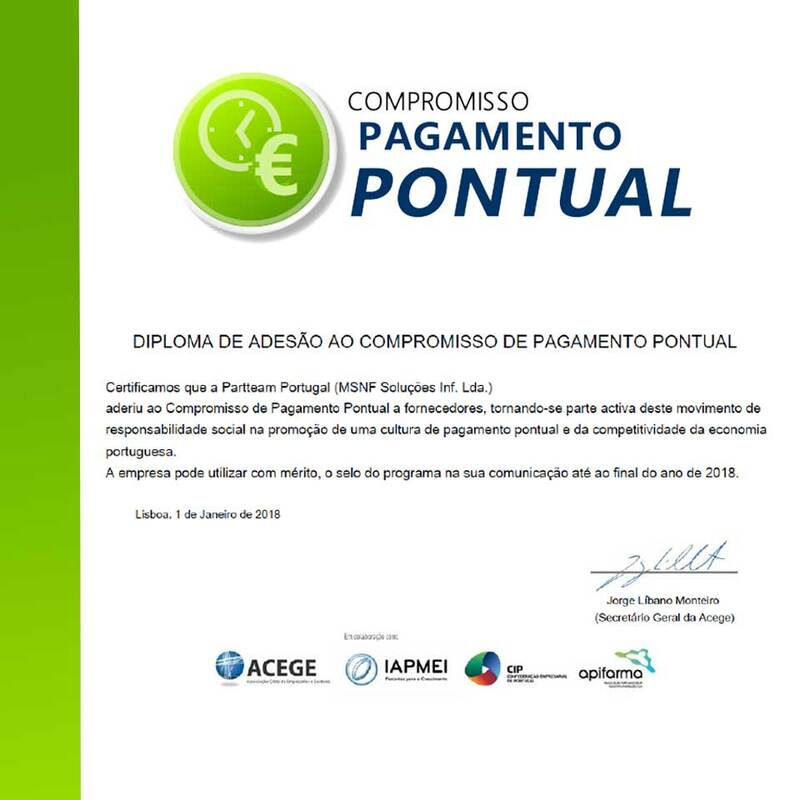 PARTTEAM & OEMKIOSKS, as a reference company in the technology market, honors its payments and, as such, has adhered to the Punctual Payment Commitment to suppliers, in collaboration with ACEGE, IAPMEI, CIP and APIFARMA. The Punctual Payment Commitment, was born under the premise of ending the lack of knowledge about payment deadlines to suppliers stipulated by law. The lack of a national payment culture within the agreed deadline for suppliers is still a reality in a large part of the business fabric. "In Portugal the vast majority of companies, public and private, still settle their invoices outside the agreed period. The latest InformaDB data on payment behavior in our country shows that by December 2017, 84% of organizations were still defaulters at this level. " Based on an assertive policy, PARTTEAM & OEMKIOSKS has adhered to this commitment and has become an active part of this social responsibility movement. This is proof of our total respect for both our suppliers and the Portuguese economy. We want to honor our commitments by promoting a culture of payment and boosting the company's development and national competitiveness.